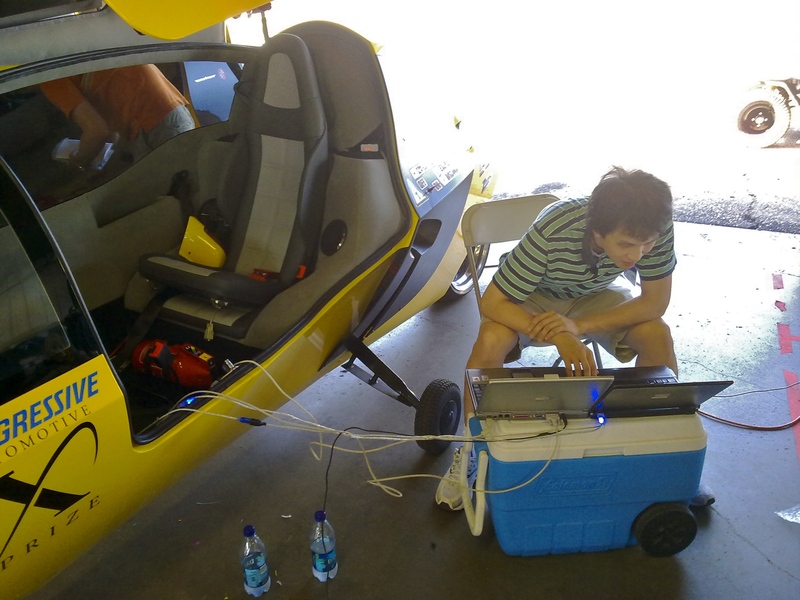 We got both vehicles nicely through tech inspections, so our work back in Chicago was successful. We did not like the ballast weights we were assigned to carry, but it won’t hamper performance by a lot since there is no elevation to overcome on the range and efficiency testing. This entry was posted in PIAXP X PRIZE and tagged Morey, PIAXP, X PRIZE. Bookmark the permalink.